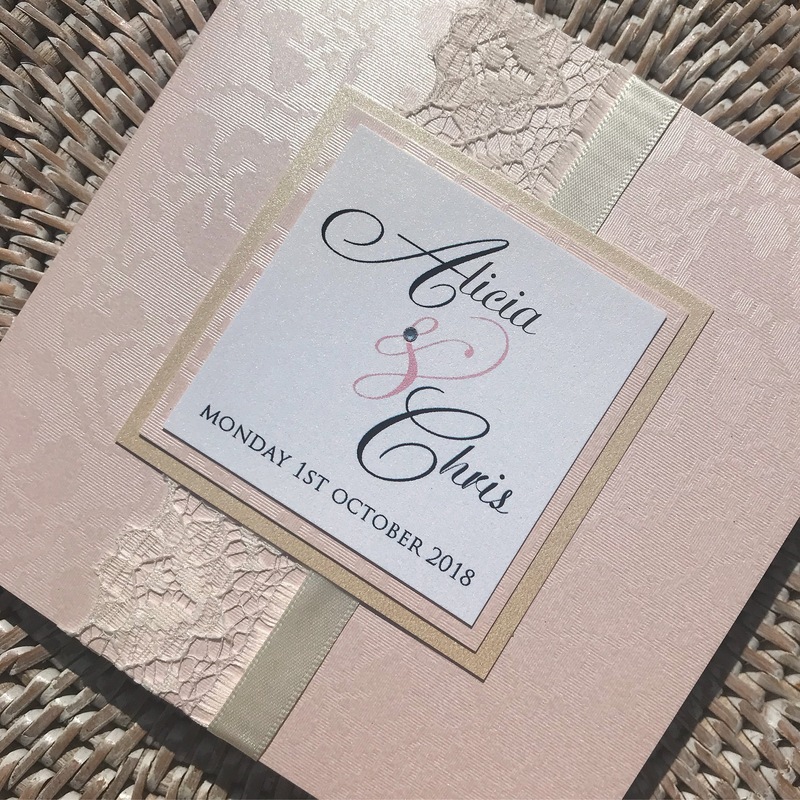 So fresh & soft … Blush Pink and Light Gold, compliment the design created on this beautiful shimmer appliqué pocket fold wedding invitation. Incorporating Lace and Pearl detail with a few delicate silver crystals. Order created for Alicia and Chris who married at Highcliffe Castle and The Chewton Glen, Dorset.. the Elegance of this design tied in with their wedding perfectly.